Brad Tilden looks over the shoulder of an aspiring aviator at Alaska Airlines’ Aviation Day. Each spring, hundreds of aspiring young aviators pour through our maintenance hangar doors in Seattle and Portland as part of Aviation Day. These kids come from all walks of life and their excitement is contagious. One of the key lessons they learn – before test-driving the flight simulator, learning about the fuel efficiency of our split scimitar winglets, and kicking the tires on our sleek 737s – is the principal of lift. In the 17th century, mathematician Daniel Bernoulli observed how the pressure differential created from particles moving over and under a wing at different speeds drives it to rise up and push forward, creating lift. No matter how long I work in aviation, I continue to find that moment amazing. At Alaska Airlines, we know that being responsible requires us to create lift for all who depend on us. This means operating efficiently and safely, taking care of each other and our guests, reducing negative impacts and enhancing positive ones. In 2017, we welcomed new employees, aircraft and destinations from Virgin America. This was no small feat. Now, with the integration more than 85 percent complete, our people – the new Alaska Airlines – are able to focus on what they do best: running a great airline that is both responsible and responsive to the world around us. I hope you enjoy reading about our progress and the four focus areas of our sustainability efforts. And check out our website for ways you can join us. 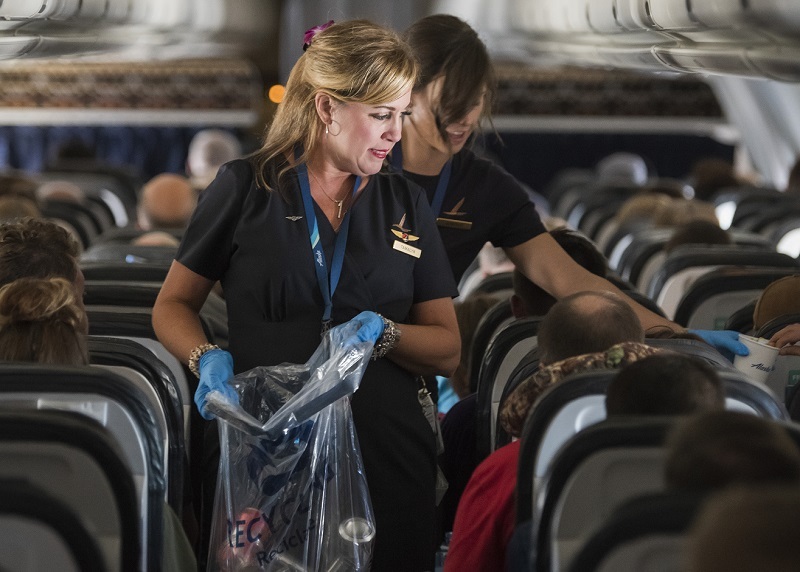 As an airline, our business is about investing in our employees, empowering them to provide stellar service, and giving back to the communities where we fly. 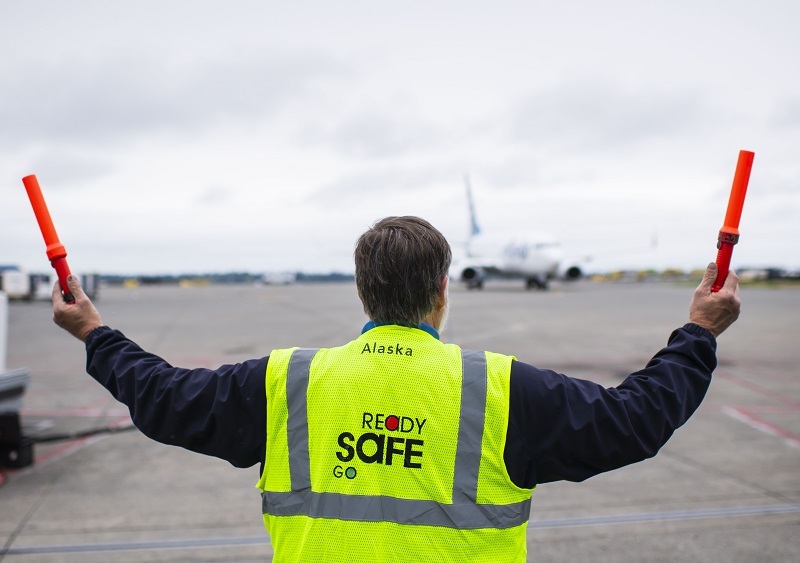 Safety is #1 at Alaska Airlines. Because of our employees’ commitment, we improved safety reporting across our integrated fleet in 2017 and today are among the top 20 safest airlines in the world, according to AirlineRatings.com. Having a diverse workforce leads to better ideas and better business results. We achieved company-wide gender balance in 2017. And now in 2018, 50 percent of independent directors on our Board are women. From napkins to fuel to the way we fly, we make conscious choices to reduce the environmental impact of our operation. We’re always looking for new ways to boost the efficiency of our fleet, reduce our waste, and decrease consumption of raw materials. Of note, we’ve started replacing single use plastic straws and stir sticks with sustainable and marine-friendly alternatives. 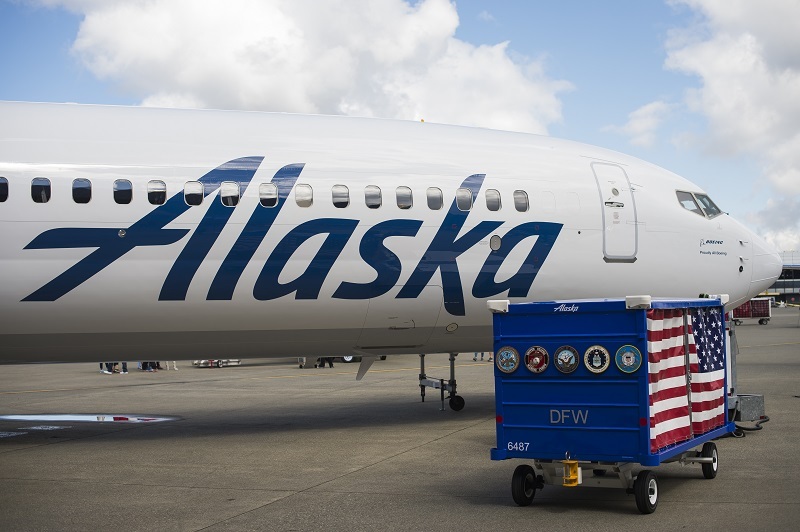 The International Council on Clean Transportation recently ranked Alaska Airlines No. 1 in fuel efficiency among 13 major U.S. airlines for the seventh consecutive year. Beyond fuel, we’ve achieved a 54 percent reduction in per-passenger inflight waste since 2010 by recycling onboard waste and using more recyclable and compostable materials. Last year alone, we reduced an additional 21 percent of waste. Thank you for helping our fantastic flight attendants make this possible on board. We are inspired by opportunity, supporting kids from all backgrounds to realize their dreams, and investing in the places we call home. Our goal is to impact 100,000 youth by 2020, including through the work of amazing local schools, jobs programs, and other organizations that support critical thinking and creativity in the next generation. Our values guide us to give back. In 2017, our employees volunteered more than 32,000 hours, and we supported 1,300 different charitable organizations last year. In total, we contributed more than $15 million in funds, in-kind contributions and travel to support communities where we live and fly. We also use flying to give back through Charity Miles, disaster relief efforts, Make-A-Wish, Angel Flight West, Honor Flights and our Fallen Soldier program honoring those who made the ultimate sacrifice for our country. To learn more about our commitment to sustainability, view the full 2017 report at http://flysustainably.com/. Keeping recycling and garbage separate until it’s collected.